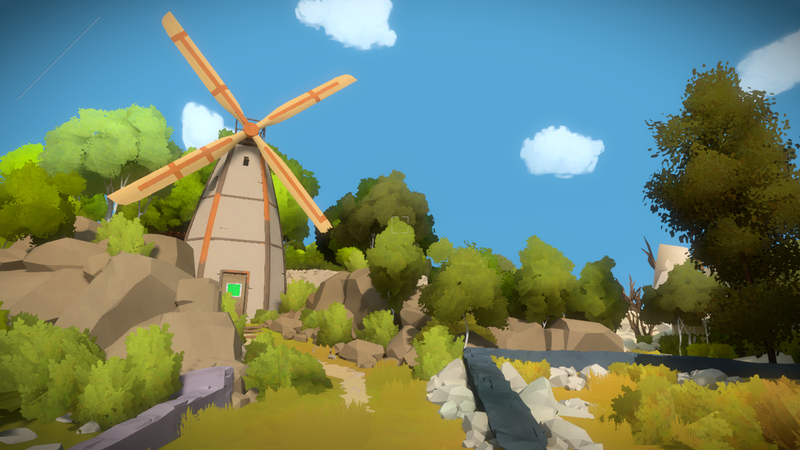 I had a bit of a rocky start with Jonathan Blow’s The Witness when it finally made its way over to iOS this year. I grabbed it right away because I had heard such good things about it and was eager to try it for myself. At first, I was a little disappointed. It seemed to be just 2D line-drawing maze puzzles in a 3D environment, and I couldn’t understand why it needed to be in 3D. But after playing more, it all became clear and I could see why this couldn’t just be a 2D game. However, I was also getting motion sickness on my iPad and almost had to stop playing altogether. 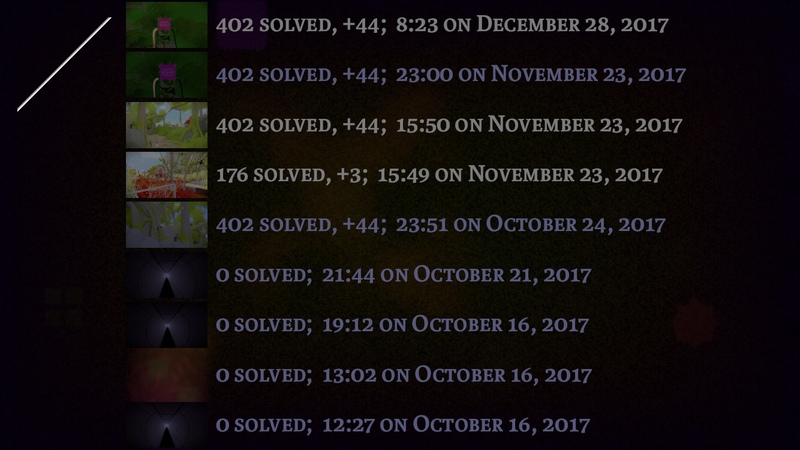 But between playing more on my iPhone than iPad and adjusting a bit the way I played, I was able to stick with it and solve over four hundred puzzles and even see one of the endings. I spent so many hours with the game and recorded the longest series of play-through videos I’ve ever done for a game, clocking in at thirty-eight videos so far. So, even though I haven’t solved every single puzzle, I wanted to get a review in before the end of the year. You start off in a dark tunnel and make your way out to a vibrant, colorful island full and flowers and trees and lots of secrets to discover. The game doesn’t give you much instruction, but it does show you how to interact with the world — tap anywhere on the ground to walk there, and tap on a puzzle to interact with it. 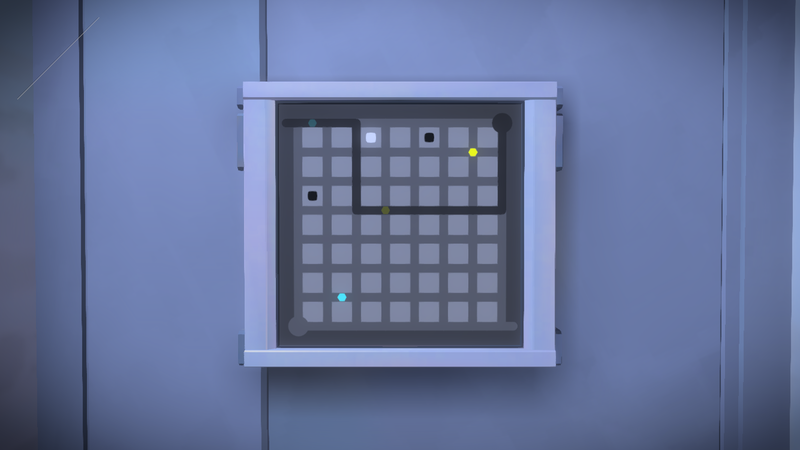 Just about all the puzzles involve drawing a line from the little circle at the beginning of maze all the way to the little tail at the exit. It starts off very simple, perhaps too simple, as those first few puzzles don’t really sell the game well. You’ll need to stick with it a bit to see it start opening up and truly challenge you. 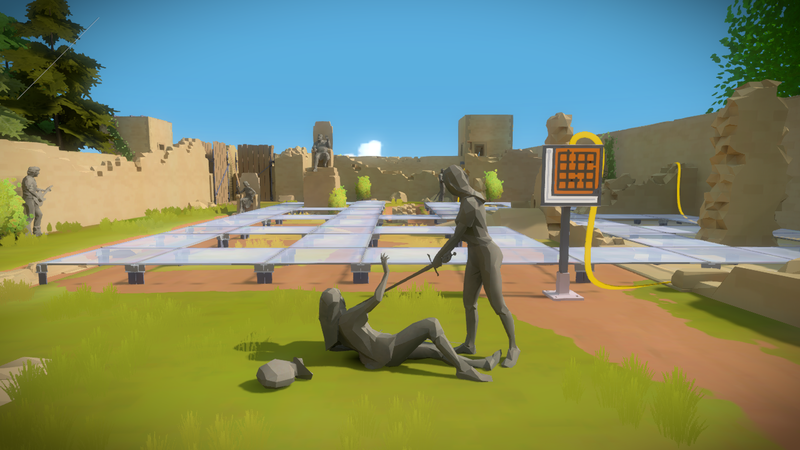 The Witness is an open world game and the puzzles are scattered about. There’s no one else around to interact with, but there are recordings you can find and listen to. Groupings of puzzles usually start off easier and gradually increase in difficulty as you solve more of them, so that by the time you’ve made it through a group of them you understand the rules a lot better. 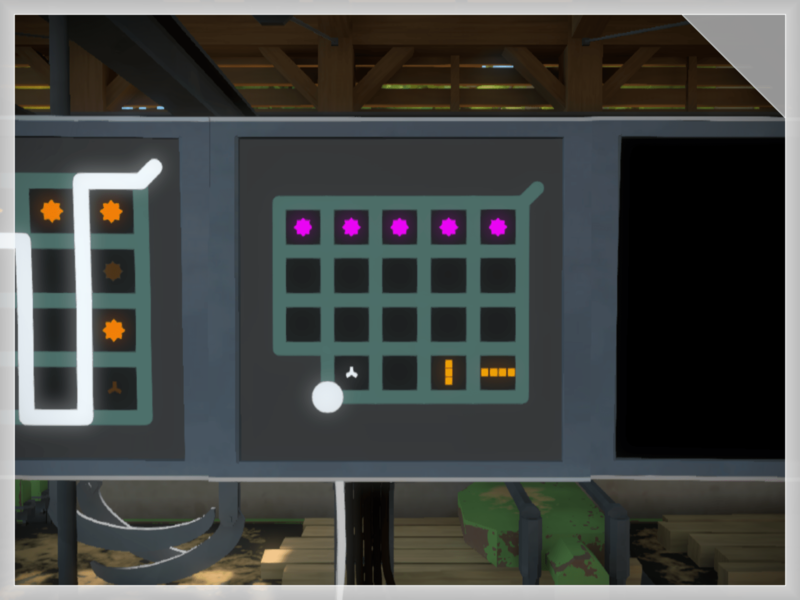 However, there are also single puzzles that can be found on their own with no explanation, so you can either try to figure them out on the spot or come back later once you’ve solved easier puzzles with those same mechanics. Usually those single puzzles will unlock new areas, so the order you solve them in will determine which puzzles you see early on. There’s so much tucked away on this island that I managed to miss an entire area near the beginning until I stumbled across it much later while looking for puzzles I hadn’t solved yet. The game boasts over five hundred puzzles, and that’s no exaggeration. What’s more is that each and every puzzle teaches you something new. I’m curious what didn’t make the cut, as some did seem unnecessary, as though the developer couldn’t bear to leave them out. Is the game too big for its own good? Possibly, but you definitely get your money’s worth here. While the puzzles themselves keep things varied, the game also makes sure you’re never bored with the scenery. As you explore the island, you’ll encounter a towering mountain, a castle, a treehouse, an orchard of fiery orange trees, and another of cherry blossoms. You’ll walk through full-sized mazes and utilize puzzles to control machinery. There are statues of people, as well as optical illusions that don’t necessarily progress you any further but are fun to discover. The island is just so full of little details that I could probably spend years on it before I discover everything myself and solve every puzzle without any help. 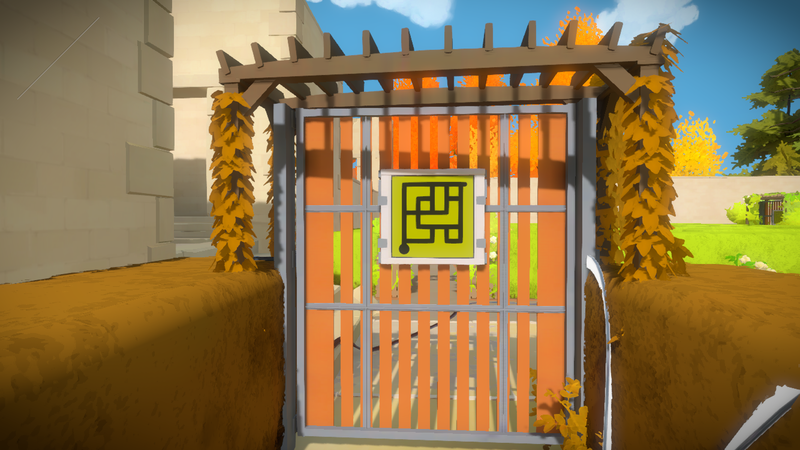 Solving puzzles in The Witness makes you feel smart because to do so you have to pay attention to your environment and study patterns within each puzzle. If you solve any puzzles through trial-and-error instead of learning how they work, you’ll likely get stuck later when you have to deal with the same mechanics and don’t understand them. You can only get so far by fudging your way through puzzles. Some of the most satisfying moments in the game were from staring at a puzzle for so long because it seemed impossible, then trying something I never considered before and seeing it work. For instance, there are symbols and shapes on many puzzles, but the game doesn’t tell you what they mean. Sometimes it’ll give you feedback in the form of blinking, but it’s still up to you to interpret its meaning and figure out why your solutions aren’t working. But by the time you figure it out, you should hopefully understand another rule about those symbols and those puzzles. Even though that rule was always there, you won’t know it until a puzzle forces you to use it. Much of the game is like that, so you do need to have patience with it. Now, despite how much I’ve enjoyed my time so far with the game, I do have some complaints. First off, the controls on iOS are a little fiddly. While the developers did do quite a bit to make it feel right on a touchscreen, I wish they could have done more. The tapping to move gave me motion sickness at first, until I learned not to go too far at once and not to look around too much during the auto-running. That’s a hard thing to do in a game that hides things everywhere. This was especially difficult early on, when I had so much to discover. If you don’t look around a lot, you will miss things. So having to minimize that in order to avoid getting sick did hamper my experience a bit. That said, it is nice to be able to tap on a spot in the distance and have the pathfinding take you there, especially later on when you’ve solved most of the puzzles already. But I found it strange that the App Store description says the game will never waste your time. This is not true for a number of reasons. First off, it’s a fairly big island and you’re mostly traveling on foot. Another mode of transportation is available, but it’s not going to save you that much time, so much as allow you to see parts of the island from different perspectives. I would have liked some sort of teleport system to limit walking when I just want to get from point A to point B. That would have also helped with the motion sickness I’d get when I walked long distances. On top of that, some puzzles require you be in a specific position while you draw the path. Instead of being up against the puzzle, you can actually draw from pretty much any distance. In theory, that’s a great mechanic that helps justify this world being in 3D instead of 2D. The problem is, it can be tricky with the touch controls to get in that perfect position with the camera lined up right and a vantage point that allows you to both see clearly and draw easily. There are two-finger swipe controls that let you make small adjustments without having to tap on the ground again, but it still involves a lot of work that can get tiresome. Also, to draw, you need to press and hold on the little blinking circle, and if you forget to press, you could end up moving the camera instead. And then you have to adjust all over again. I’m not sure how that could be fixed, but a more intelligent system would have been very welcome. Things are especially problematic when you get to the puzzles that are on a time constraint. But still, there’s so much content here that you’ll get more than your money’s worth even if you don’t finish every last puzzle. Navigation feels about the same on both iPad and iPhone, and I’ve been able to make good progress on both devices. But drawing on the actual puzzles is definitely a better experience on the iPad. On iPhone, my finger always blocks my view while I’m drawing, and that can be a problem with some puzzles. It’s still doable, since you can usually lift your finger mid-path to look at it, but it will be a more frustrating experience if you only have an iPhone. Luckily, if you have more than one device, the game does utilize iCloud sync, so you don’t have to choose between your iPhone and iPad. However, it’s not perfect. In the past, I had a lot of trouble getting my saves to load, leading to frustration. I’m not sure if it was because of my old iPhone 6S, but things do seem to be working better on my new iPhone 8 and iPad Pro. iCloud sync has also been improved since I first started playing, as it shows local saves in white and iCloud saves in purple. I’m still not sure why it keeps creating new save slots, but as long as my latest save is still there, I can’t complain too much. Still, it would be nice to have some control over those saves, even if just to delete the empty and duplicate files that are cluttering up the Load screen. Anyway, back to the good. I think it’s a testament to the game’s strength as both a puzzle game and an exploratory experience that I’ve stuck with it for so long despite these complaints. The game respects your intelligence, something that’s pretty rare on the App Store among gatcha games and any number of free-to-play puzzle games with thousands of levels of filler. 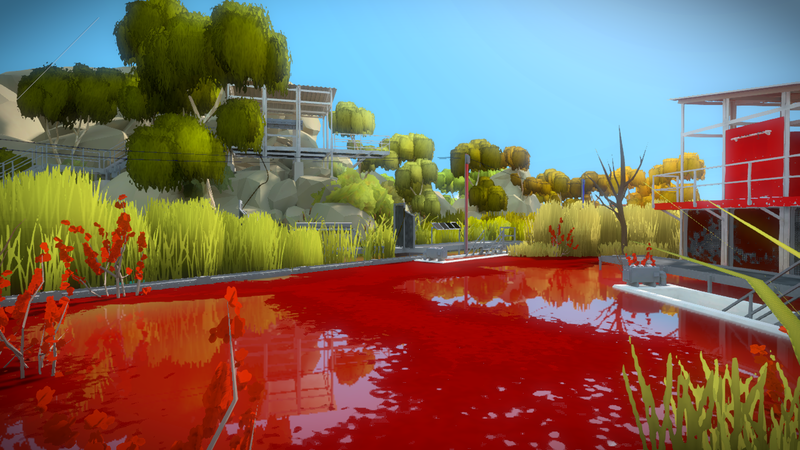 The Witness will constantly challenge you and surprise you. Despite its flaws, I think it’s a game that every puzzle fan should experience. There’s a sense of adventure and exploration that few games can create. It’s exciting to unearth new mechanics, new areas and optical illusions. Even though touchscreens might not be the best way to interact with an open world 3D game, there’s something to be said for playing with your iPad on your lap and drawing directly on the puzzles themselves. Like I said, iPad is going to be a more pleasant experience than iPhone, but if you have the patience it should be doable on iPhone as well, as I played a good chunk of the game on there. While I haven’t finished the game yet, I look forward to chipping away at the rest of the puzzles at my own leisure. It’s rare for me to invest so much time into one game when I’m not even making a walkthrough, and that says a lot about it. 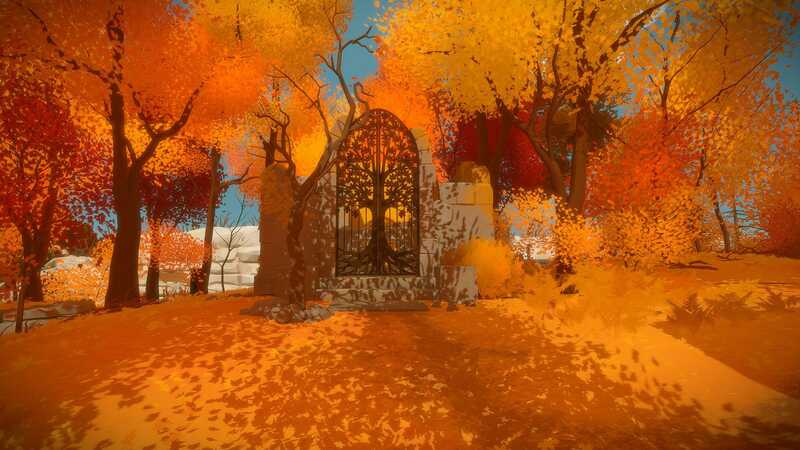 If you’re willing to take the plunge and explore the mysterious island of The Witness, grab the game here. And if you’d like to see more of my gameplay videos, you can find them, along with the first impressions of the game, here.